Book by Stephen Chambers, Verso, 2017. “A sad and depressing tale of how, for the US, all was game for the sake of gain”. I had great hopes for this book. 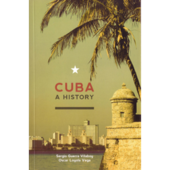 Purporting to relate the “untold” story of Cuban slavery, it claims to be the real history of the decisive role of the illegal slave trade in the making of the US. Meticulously researched and scholarly written, unfortunately, it’s a real struggle to read. Historian Steven Chambers fails entirely to weave a convincing narrative from the numerous unscrupulous merchants, politicians, and lawyers whom he namechecks as allowing and encouraging the illegal trade to happen. So many of the characters are entirely forgettable and introduced one after another with no sense of narrative coherence. 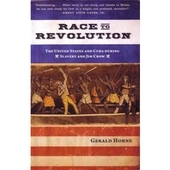 Conventional wisdom has always claimed that the US abolished the slave trade in 1808 and little is known about the fact that a quarter of the Africans brought to Cuba as slaves, some 3.2 million, arrived after the trade was allegedly ended because powerful commercial and political interests in very high places in the US demanded the seemingly endless profit and power available from exploiting such opportunities. Slavery is also the history of sugar. 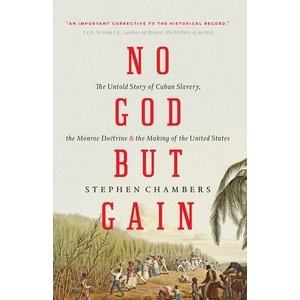 As Chambers notes, 90 percent of all enslaved Africans were brought to the Americas, not for cotton, coffee or tobacco “but to chop cane and clear fields for the cultivation of new sugar crops.” Chambers explores the wider geopolitical struggles of the time and how US founding fathers like John Quincy Adams and Thomas Jefferson used their political influence, Harvard connections and wealth to help their businesses and country thrive. By reviewing private correspondence, shipping manifests, bills of lading and port, diplomatic and court records, he details how far the slave owners would go in order to keep the gravy train rolling, including crime, murder, trickery, and deceit. It’s a sad and depressing tale of how, for the US, all was game for the sake of gain and, in many ways, it could be argued that it is just the same today. The author weakly asserts that “the Monroe Doctrine was created to protect the illegal slave trade and the slave regimes it created,” a statement that’s symptomatic of the book’s failings. What should be an absorbing element of history receives cursory attention and little real explanation. The dense and impenetrable prose makes it difficult to follow the gist and, while this is no doubt a useful book for some scholars and possibly students, it’ll be a struggle for anyone else.